The development voucher is essentially a supporting measure for preliminary research. The results of the development voucher should enable the entrepreneur to gain comprehensive knowledge on whether their development idea has the potential necessary for continuing the development process in other stages. 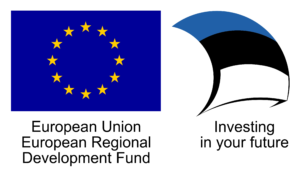 The innovation voucher enables a small and medium-sized entrepreneur (SME) who is cooperating with a higher education institute, test laboratory, or intellectual property experts, to develop innovative solutions for development obstacles, carry out tests with new materials, gather knowledge on technologies, conduct studies in intellectual property databases etc. The Baltic TRAM project offers companies free access to state-of-the-art analytical research facilities across the Baltic Sea Region, providing technical and scientific expertise to help solve challenges associated with developing new products or services. Baltic TRAM offers free consultations with experts in analytical research facilities and research institutes, free measurements of material samples on micro-, nano- or molecular scale. The objective of the applied research program is to give the Ministry of Rural Affairs a scientific basis on which to form politics, law-making, and national supervision as well as to coordinate and finance the participation in international scientific cooperation. The program helps to implement measures of the ministry’s operating areas, thanks to which the program can be used to fill the goals set in different spheres. The funding helps entrepreneurs commission applied research and product development necessary in smart specialization growth areas from public research and development institutions. The funding may be applied for projects with the duration of up to three years. This is a good opportunity for a company to carry out large-scale development projects in a relatively short period of time. You may apply for the funds until 31 December 2016. By coupling research and innovation, Horizon 2020 is helping to achieve this with its emphasis on excellent science, industrial leadership and tackling societal challenges. There are different activities supported in environmental investments: The fishery programme, the marine environment programme, development of water management infrastructure, recycling of waste and preparation for reuse, the nature preservation programme, the forestry programme, the atmosphere air protection programme, the earth programme, .he management of environment programme, the environmental awareness programme. The Leader programme is one of the most successful initiatives of the European Commission. The aims of the RDP Leader measure are to promote local initiatives, to contribute to the enhanced competitiveness of agriculture and forestry, to improve the quality of life in rural areas, to diversify economical activities and to empower the local level through Leader Local Action Groups.